If you’re an aspiring professional songwriter in Singapore, you’ve probably been exposed to countless different kinds of songwriting workshops attempting to teach you how to write the next great pop song. But this time, we may have a game-changer for aspiring songwriters and music producers here. 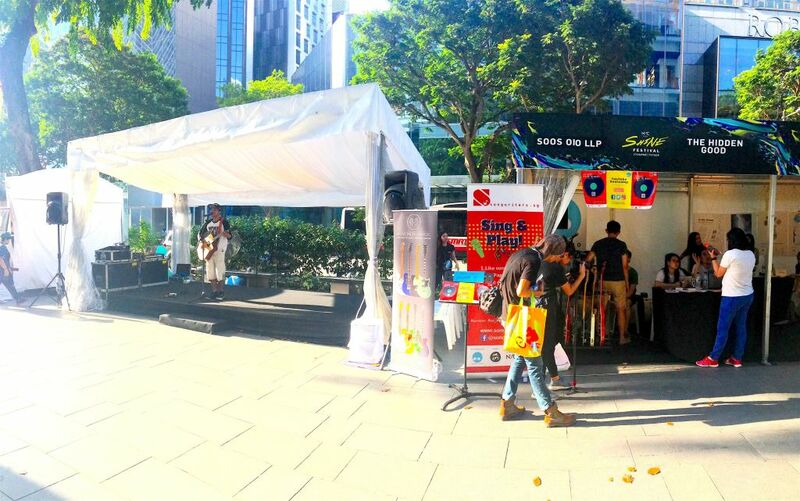 Launched recently at the annual SHINE festival, songwriters.sg, an initiative by SOOS OIO, made its first showcase along the streets of Orchard Road. 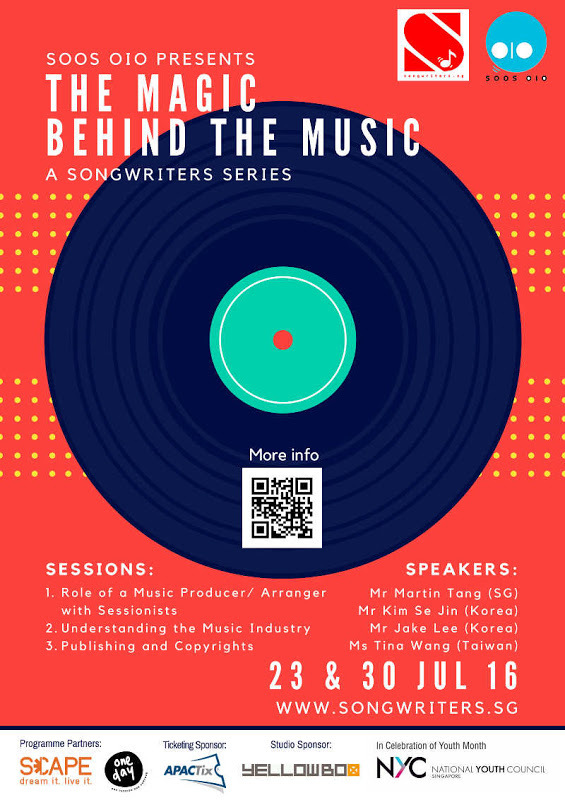 The first series of events organised by songwriters.sg, “The Magic Behind the Music“, is no ordinary workshop. It focuses on the more specific and practical aspects of writing and releasing a professionally recorded song into the music industry. The workshop is split into three separate events, covering topics such as musical production (recording, mixing, technical set-ups), the culture and inner workings of the industry such as the the criteria for what makes a good song in the music industry, as well as the publishing and copyright technicalities of writing and releasing a song. The workshops are not led by your typical singer-artiste or musician either. Instead, the line-up boasts names like local producer/songwriter Martin Tang, who has written songs for the likes of Jackie Chung and A*Mei. To date, Tang has won the “Golden Melody Award” thrice among other accolades. Other speakers include Korean producer Se Jin Kim, who has been part of the Korean music production business for the past twenty years. To put things into perspective, Se Jin Kim is the man behind the production of several popular K-drama theme songs, including “My Love from Another Star” as well as “Descendants of the Sun” (pretty sure that got your attention!). In short, this event organised by songwriters.sg may not be led by a star studded, glamourised crew – but that is the beauty of it. The main objective of the initiative is not to teach musicians the far-fetched technicalities behind writing an actual song. Instead, it serves to bring together a community of local songwriters and musicians to share their journeys and experiences. Tickets are available at www.songwriters.sg!